At the grAiNZ event there was interest from some people in the beta testing of the iPhone version of Bread Boss®. Yes, it’s close to being released! 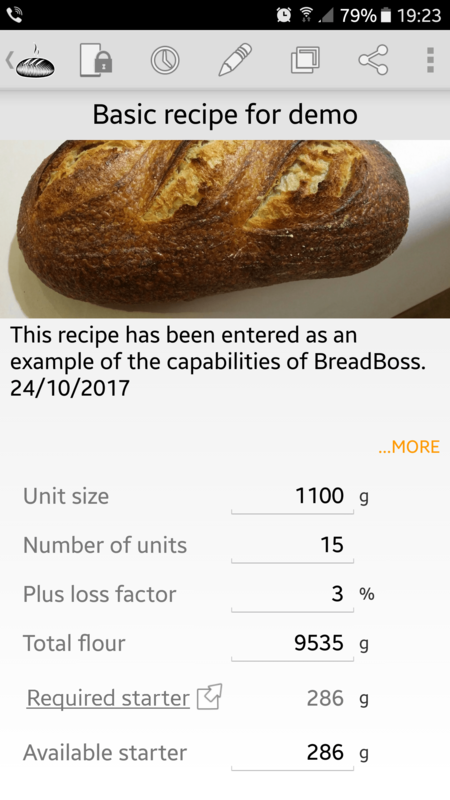 Chef/bakers who asked, showed interest in not only the capabilities of Bread Boss® as a tool to manage, create and vary their formulas and recipes, but also manage the schedule alarm features. What may not be immediately apparent to the new or prospective user is that Bread Boss® is an ideal tool for development of new products and refining existing formulas that are still a work in progress. Those prospective products can be refined through several iterations with variations in each. Adding detailed notes for each step or stage is straight forward. Dates, descriptions and other relevant info can also be saved. After baking, a photo of the final product can be added. Notes and dates can be added. Of course even more detailed notes can be added in each stage and retained. For instance these entries are now a record or file that can be shared and sent to anyone in the world via email. Assuming they also have Bread Boss® they can open and save the file with all the details that were added. This includes the photo attached. The recipient can copy the file, tweak it to suit their specific needs or change it fundamentally. Then make their dough to their desired changes. Then add a photo of the baked creation. Viola! a new product is born. No doubt it could be returned to the original sender with the added changes, photo included to inspire or challenge!! It’s a great tool for sharing formulas and methods within a baking community or an enterprise such as a restaurant, bakery or R&D facility. Of course it’s great for home bakers too who want to share their creations with baking rivals/friends or family. This short video on the process of adding a formula and sending it on to friends will give you an introduction on how to use Bread Boss®. Of course Bread Boss® isn’t just a recipe book, it’s a working tool for bakers, chefs and home bakers alike. The ability of Bread Boss® to be used as a development tool is not to be overlooked by serious bakers. Having the ability to catalogue and retain those details, including photos, is invaluable for professional bakery instructors like myself but also for R&D bakers within flour mills and baking enterprises. Its a great tool for lesson preparation for apprentices also.